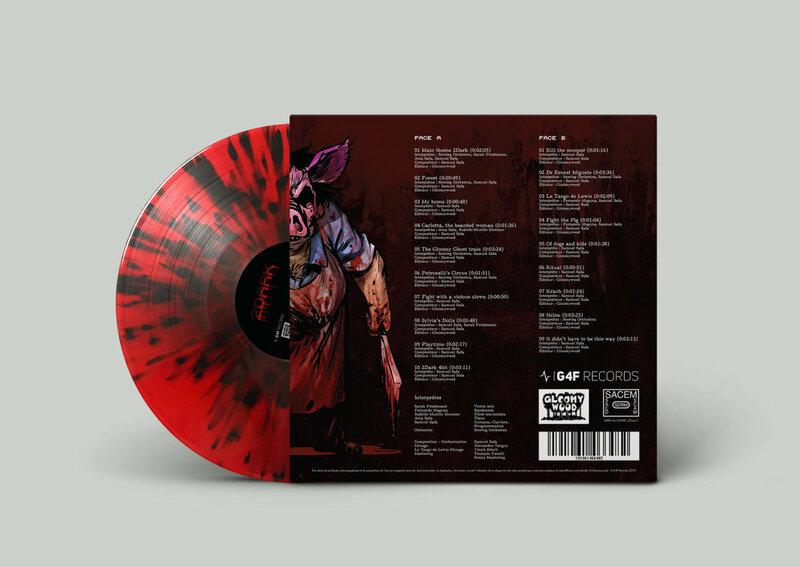 Any here who pre-order box version? I hope to watch unboxing video. I've found 2 unboxing videos (PS4): one in Italian and one in French (although there are no comments of the author in the latter, so let's say it's a universal language version ). I only read the titles that said other languages and somehow skypped the english ones xD Dziekuje!! Thanks. I already watched this videos. 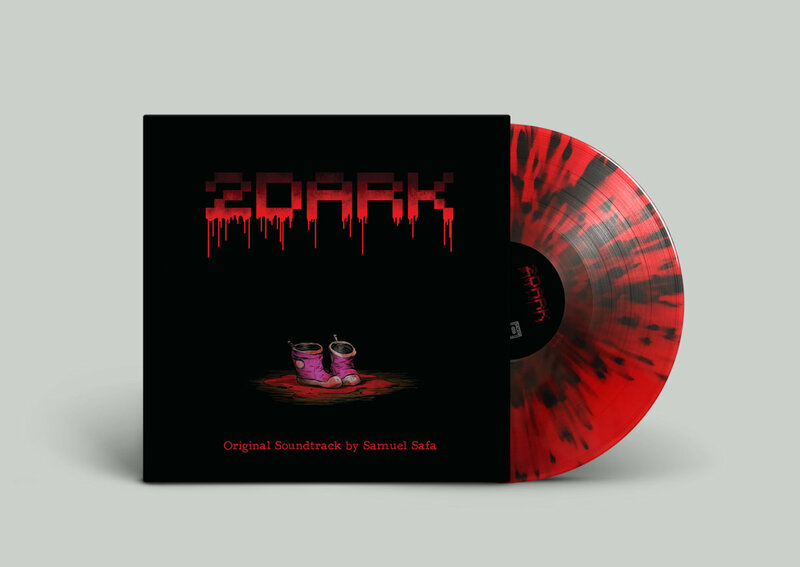 And also I find 2Dark soundtrack on colored vinyl. The soundtrack is also available on YT. Finally figured out that Steam stuff... This is like the only game I have in my library (obviously not used to Steam (kind of hate it too because I don't really know where anything is)). Just played 2Dark for the past few days and managed to complete it, and I must say - really LOVE the art style and overall mechanics of the game. That's definitely something for someone who really loves the LBA series, but manages to find something fun in all of Fred's other games. The overall mixture of voxelated characters moving over 2.5D backgrounds really has a HUGE effect on the entire design of the game. Seeing that I love to play old school video games (especially since 2Dark took that approach), I love it all the more! But what made it even better was the use of lighting - not truly dynamic (some mistakes can happen in some places), but very well done for the interaction between characters and backgrounds. Obviously far better programming than I could do. I really love the music, but shame it's not by Philip Vachey. The moments where you get caught and people start chasing you are the best tracks. There are some things I'd like to point out about the game, but seeing as it's still pretty new - better not spoil it for anyone else on the forums. It's too bad the game is not any longer though. I really wish it were. Obviously far better programming than I could do. Just received my Ps4 limited edition. Really nice. Games also seems better to play with the controller. Issue found: while in settings, chaning the language to japonese takes a lot of time, almost looks like the game have crashed. Not sure it affects the rest tho. Interesting you mention that. I've got the Pc version, but it took a few seconds (maybe 5) just to load up those characters. Interesting, I'm so used to keyboard and mouse that it doesn't really affect me at all (I think). I doubt the resolution will look any better (because the game is meant to look old anyways), but I could very well be wrong. I look forward to those pics. Seeing as I've still got ideas for LBA programs and have been pushing myself to do them is rather great - has helped a lot in me learning. But in all honesty, I don't know how Fred does it (I'm sure he knows the 'ins' and 'outs' of what makes a good programmer). Sometimes I wonder just how far he gets into his programming (whether he gets to the literal BYTE of information or what) to make something like this, especially with all of those 'voxel' characters and objects, etc. I will forever love the style of 2Dark. But the story... Hmm... I'll leave that discussion for later until more people have played it, unless someone is that daring to already discuss it now. Does anyone know if the voxel editor for the game can now save or load voxel models? I tried the demo for that awhile ago on the web browser, but haven't checked since - did they add that support yet? The Voxel Editor is a reward for those Ulule backers, who made a contribution of 30€ or more. It won't be available to anyone else. That's just it - already did that. I helped back up the game and got access to it. I'm just wondering if it can save and load data now. Last time that wasn't an option. I'm thinking now that they're finished with development, perhaps they've allowed that to be possible now. Does anyone else know if the voxel editor can do that (if you were a backer who got that)? That's just it - already did that. I helped back up the game and got access to it. If so, you should have received an email from Gloomywood two days ago. For the Gloomywood Artists and superiors, a final version of the Gloomy Voxel Editor is expected to be available soon for download. So you just need to wait a little bit more. Aahh... Must have overlooked it. Thanks, Kasia. I look forward to that. If it just so happens the model files are simple enough, I may be able to make a model in 3ds max out of cubes and somehow convert that to usable format. Kind of sounds tedious sometimes to perfectly place every cube for those models. But I guess if that's the case, then it must be done. Hmm... Weird the quote didn't show up in your quote. Oh yeah, that happens when you quote a quote. "The voxel editor, crafted by Frédérick Raynal, and used to create all the characters in 2Dark is available for download on www.2dark.fr/beta/ for all those who have access to it". I must say, I like it a lot! It even comes with a dozen models that can be seen in the game. The editor even has animation support in it! It looks like all of the gvox (gloomywood voxel files (I'm guessing)) as opposed to normal vox (voxel files) are made up of text files (unless normal vox files are (haven't checked yet))! This being said, I could probably make a program that randomly generates cubes (voxels) in different places and saves that as a gvox file. The only bit that looks most confusing are the pallete informations stored in the models at the bottom of their files. Although something I wonder is how I'd get a model with polygons and convert those to voxels. My best bet would be to take the area of a 3d model, and generate a multidimensional array of cubes to fill up that space (thus a model converted to voxels!). Even for the animations, it's an entire text file with paragraphs of code. It doesn't look as complex in comparison to the LBA1 and 2 model formats. It's all readable, the point is somehow making a program that can do just all of that. Hope other people got this packaged backed up. Holy cow... It's literally too early for a speedrun. Doesn't look like it's anywhere near a 100% speedrun (hence ANY%). Can't believe it only takes about a half hour - even shorter than Fred's first AITD. Thanks Haven't collected all candies in challenge mode yet on my normal profile, which 100% would have to include, so I can't really tell how long that would take in a run. It would take a whole lot longer in any case, seeing as 100% would involve not only that but also saving all the children as well as not killing anyone. It would be interesting to see someone do that sometime for sure, but right now personally I feel routing and running ANY% took enough steam out of me. Definitely wasn't expecting to be able to get it down below the half hour mark already, so that's a big surprise to me as well! Overall I enjoy just finding viable routes for a speedrun, so I'm happy with the result. Not only was it 2Fast, I didn't even know it was Homeless's run which makes it all the more convincing - an MBN member who has played the game (besides the LBA games).